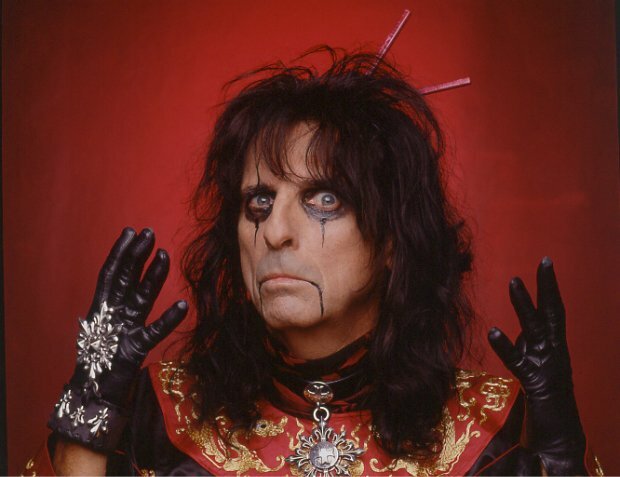 Alice Cooper has announced he will embark on a seven-date UK arena tour this autumn. Presale tickets are available from 10am on Thu 21 Feb. General sale tickets are available from 10am on Fri 22 Feb.
How can you summarise a guy like Cooper? For starters he's been nominated for three Grammys, won three Kerrang! Awards and two Classic Rock Roll of Honour Awards. If that's not enough he was inducted into the Rock and Roll Hall of Fame with his original band in 2011. Since 1968 he's put out 27 studio albums and 48 singles. Major hits from his gigantic discography include 'Schools Out', 'I'm Eighteen', 'No More Mr. Nice Guy' and 'Poison'. He'll come to the UK during his European leg of the Ol' Black Eyes Is Back tour, following on from shows in Denmark, Sweden, Germany and more. The rock veteran has embarked on close to 30 tours since 1968's Pretties for You Tour. Presale tickets for Alice Cooper's 2019 UK tour go on sale at 10am on Thu 21 Feb. General sale begins at 10am on Fri 22 Feb.
Old school shock rock at its very best. With : The Stranglers + MC50.